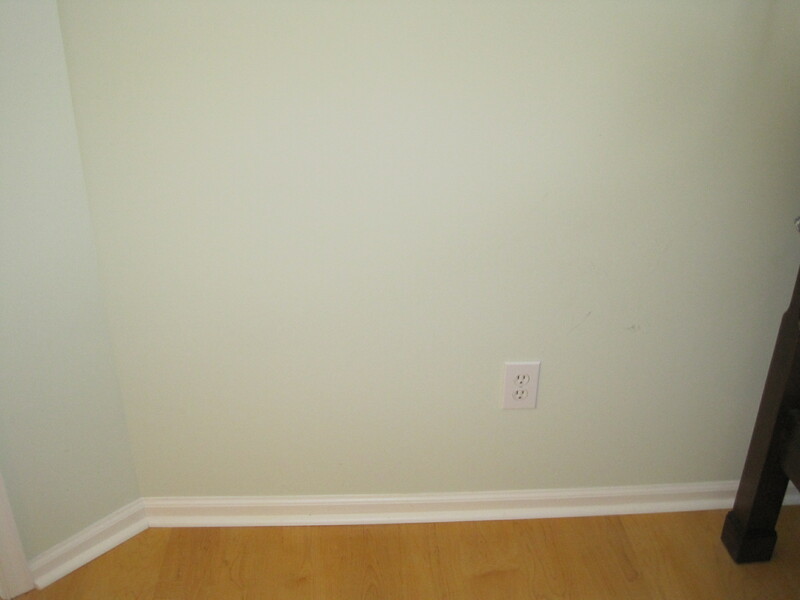 Clump #21: Defend the cleared bedroom wall space. I had the urge to stretch police tape across this little pocket of calm to defend it from further clumping. Instead, I put together a few of my favorite things and made a little bedside sanctuary. 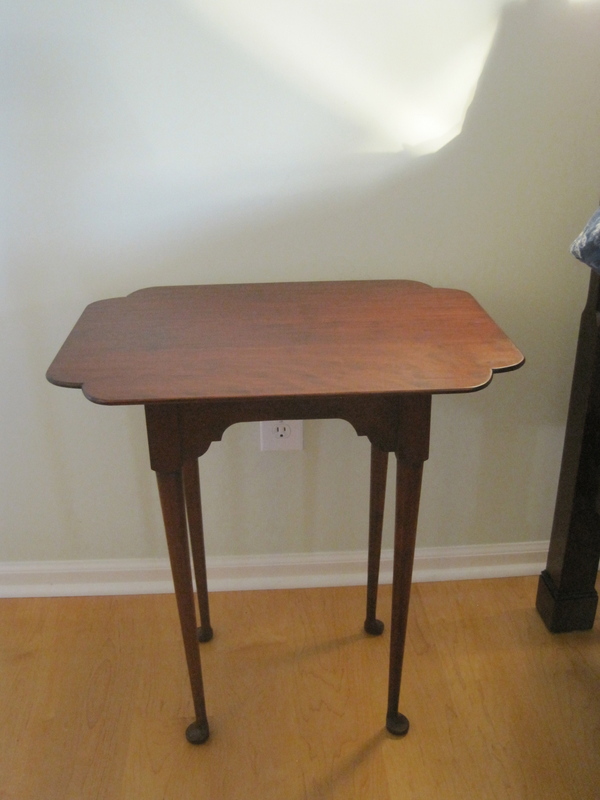 First, I “repurposed” (decoratory word) a little table that seems much more at home here. As someone with large feet, I adore its dainty little ones. 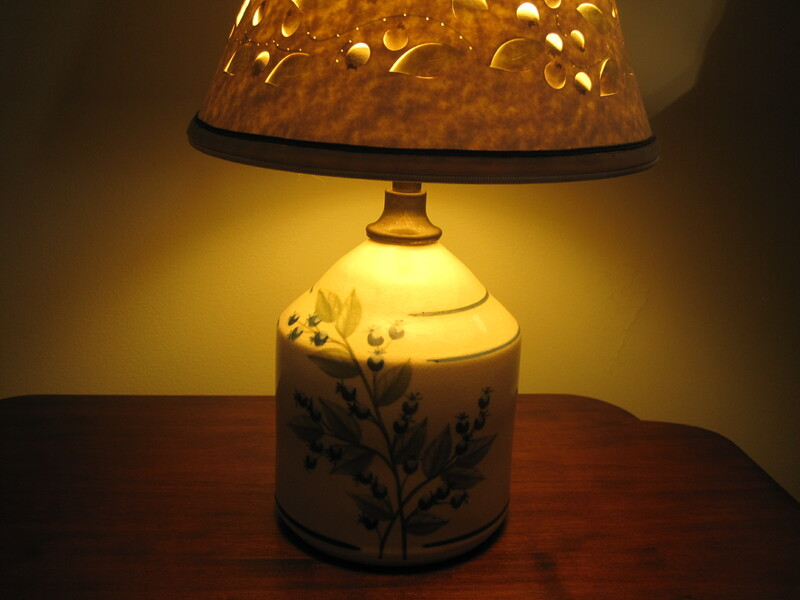 I took this lamp out of my older daughter’s room. She’s now a young adult living far away, and, therefore, spends precious little time here. 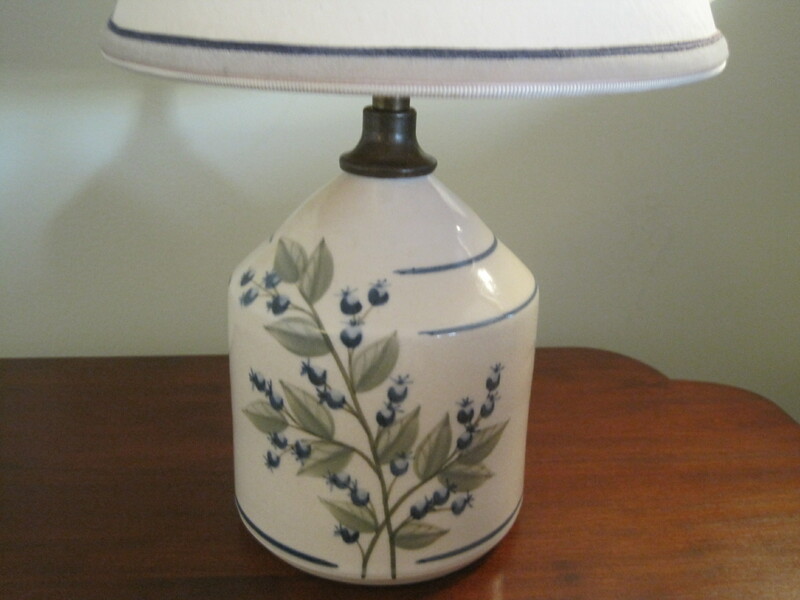 (Sniff-sniff) My older sister gave us this lamp with blueberries on it as a reminder of a famous blueberry pie my husband made for a July 4th picnic when he and I were dating. I might as well explain that blueberry pie. We were living in the Boston area and making the journey by foot, trolly, and subway to the big Boston Pops concert and fireworks display at the Esplanade. My husband had wrapped the pie in a — clean — garbage bag to protect it for the trip, not anticipating how slippery it would be. Well, it tipped and slipped all the way, the poor guy just barely saving it from falling countless times until … plop … it fell down on the disgusting floor of a subway station. He was just about to dump it in the nearest trash can when we (I, my sister, and a few friends) shouted “No! We don’t care what it looks like! We’ll still eat it!” The fact was, it was still in the clean garbage bag, and the pie, though its shape a little worse for the wear, was absolutely delicious! So it became a symbol of our courtship. My husband proposed on the next July 4 and we were married on the following one. We had blueberries in our wedding cake, and my husband makes a delicious blueberry pie every year for our anniversary. A true happily ever after. More credit to my big sister. She also gave us these dessert plates with the same pattern. 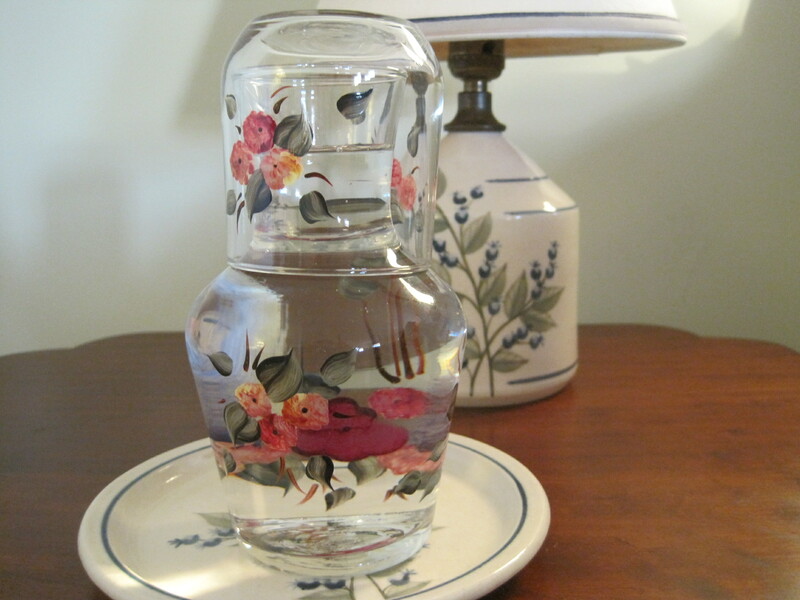 The water bottle-glass set has been sitting in a cupboard, unused, for years. I can’t tell you how many times I’ve considered giving it away, but just couldn’t quite do it. I’m so glad I didn’t! I have a distant memory of reading the health and beauty tips of a long-forgotten star. She said Cameron Diaz starts every day with a big bottle of water, so she did, too. I had always meant to follow suit, but could never quite get it into my habit system. Now it’s almost effortless. 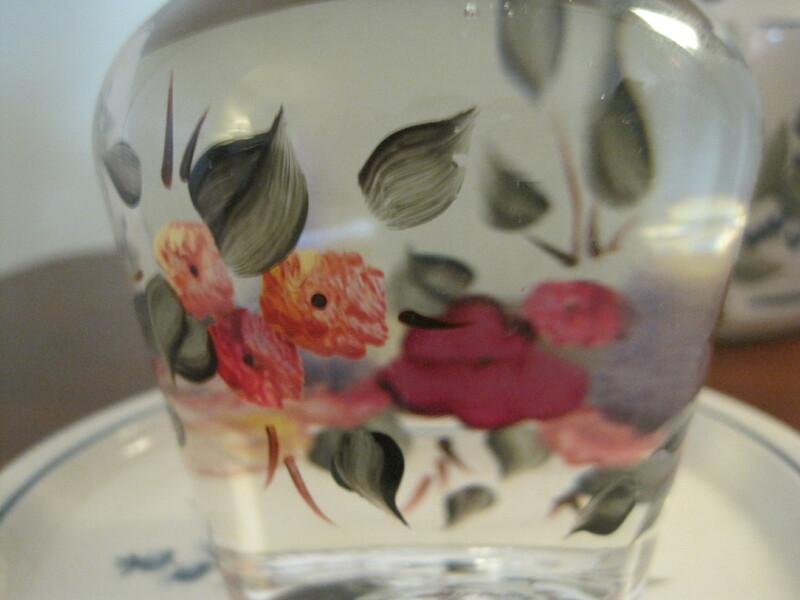 I just clean the glass and refill the bottle soon after I get up. 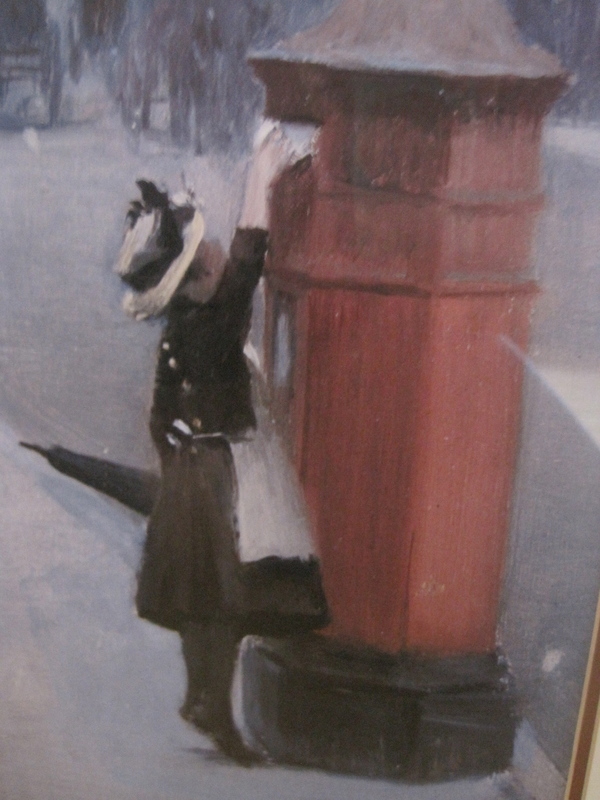 I used this picture of a girl mailing a letter to represent me finally getting my absurdly late holiday cards out. 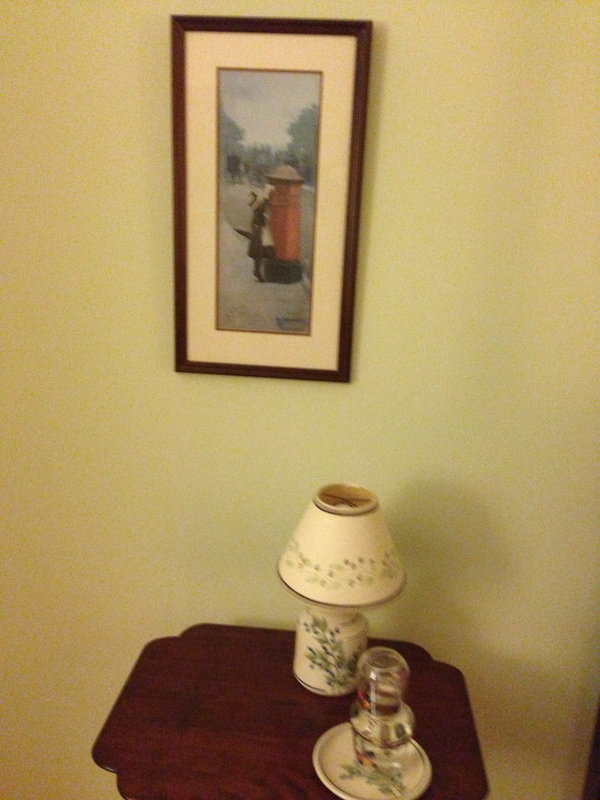 The picture was homeless after a time, a couple of years ago, when serious water damage to our house caused major disruption. Now the print has a home in my little grouping of favorite things. Not beautiful-homes magazine material, but each item makes me happy. I’m learning to say (as the L’Oreal commercial does) “And I’m worth it!” And also learning that fully appreciating the things you love is as important as clearing away the ones you don’t.